We get behind the wheel of Volvo’s brand new mid-sized SUV – the XC60. Massimo Pini reports. We waited a long time for Volvo to come up with a replacement for its first ever SUV, but when the second-generation XC90 arrived in 2015, our patience was more then rewarded so it was with high expectation that we greeted the the arrival of its smaller sibling, the all-new XC60. The original had been a strong seller for Volvo and, despite being nine years old, thanks to some subtle upgrades throughout its lifespan, it has recently been enjoying a resurgence in sales – which makes getting its replacement just right, all the more important. Longer and wider than its predecessor, the new car definitely bears a strong family resemblance to the seven-seater XC90, with crisp styling and exquisite detailing, but it retains a more lithe and dynamic look, thanks in part to its lower stance but also because of its rising window-line that kicks up significantly beyond the rear doors. The scalloping along its flanks is more pronounced, while up front, the XC60 is distinguished by its new Thor’s Hammer headlights which reach all the way to the grille. 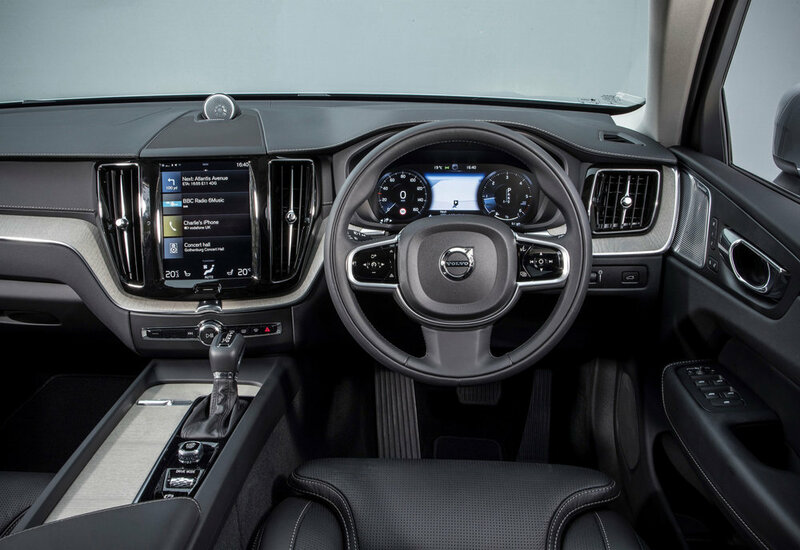 The interior is possibly even more impressive as – from a packaging point of view – Volvo’s design team appears to have succeeded in condensing and arranging all of the goodies from the XC90 within a smaller cabin, whilst maintaining a clean and uncluttered ambience. The fit and finish is as good as anything we’ve seen in the class with an elegant mix of pale, matt wood, brushed aluminium, pale leather and piano black detailing surrounding the iPad-style, portrait-format touchscreen centrepiece which dominates the dash. But the changes are much more than skin deep as the XC60 is the first of Volvo’s mid-sized 60 series models to be built on its Scalable Product Architecture (SPA) platform. Every XC60 has all-wheel drive and an eight-speed automatic gearbox fitted as standard with power coming initially from a choice of three 2.0-litre, 4-cylinder engines – two diesels (D4 and D5) and one petrol (T5). A T8 Twin Engine petrol-electric plug-in hybrid will join the range later in the year. There are three trim levels to choose from – Momentum, R-Design and Inscription – and each of these is also available in high spec ‘Pro’ form. We tested the Momentum Pro fitted with the 188bhp D4 diesel, which is likely to be the most popular power unit with UK buyers thanks to its blend of sprightly performance – 0-60mph in under 8 seconds and a top speed of 127mph – and modest running costs with combined fuel consumption of 55.4 mpg and CO2 emissions of 133 g/km. 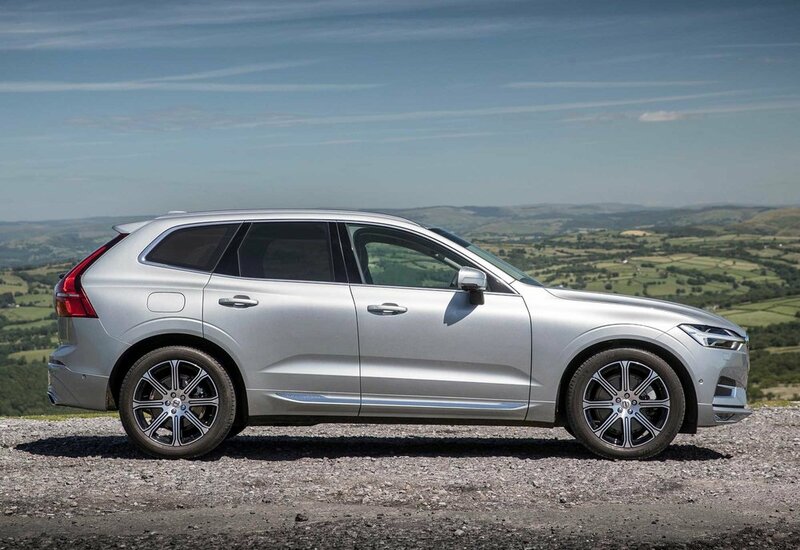 The XC60 is not a particularly engaging drive but its handling is predictable and it felt composed and self-assured throughout our test, although it’s worth noting that our car was fitted with the optional adaptive dampers and air suspension. No fireworks, no surprises. This is no damning indictment for Volvo as the Swedes never set out to create a ‘driver’s car’; no, their goal was to build a car that would inspire confidence in its driver – and I think that’s pretty much what they’ve achieved. We found the performance from the D4 engine to be smooth and adequate for most but if you fancy a bit more punch or need to tow a horsebox now and again, the D5 produces 232bhp and a hefty 354lb.ft of torque – enough for a top speed of 137mph and 0-60mph in around 7 seconds, while still returning combined fuel consumption of 51.4 mpg and CO2 emissions of 144 g/km. The seats are comfortable and supportive and there’s plenty of head and legroom both in the front and in the rear where passengers will find additional USB ports for charging electronic devices and even an optional three-pin plug socket. Boot space is also good, at 505 litres with the rear seats up, expanding to 1,432 litres with them folded flat. As you’d expect in a Volvo, safety kit is up there with the very best. Every XC60 comes with the City Safety system as standard and that includes automatic emergency braking with pedestrian, cyclist and large animal detection, as well as Steer Assist which helps you avoid or lessen the severity of collisions at low speeds by assisting with the steering in an emergency situation, such as when swerving to avoid an obstacle. The optional semi-autonomous Pilot Assist system fitted to our test car has been improved although we still found its inputs to be a little intrusive as it sought to steer, accelerate and brake to keep us within our lane markings at a set distance from the car in front. On the subject of niggles, we had very few but we found it tricky to master switching between driving modes on the move as the rotary selector is a little too smooth in its action. Standard equipment is generous as even the entry-level Momentum gets satellite navigation, leather-faced seats, LED headlights with active high beam, dual-zone climate control with ‘CleanZone’ air-filtration, heated front seats, a powered tailgate and 18” alloy wheels. 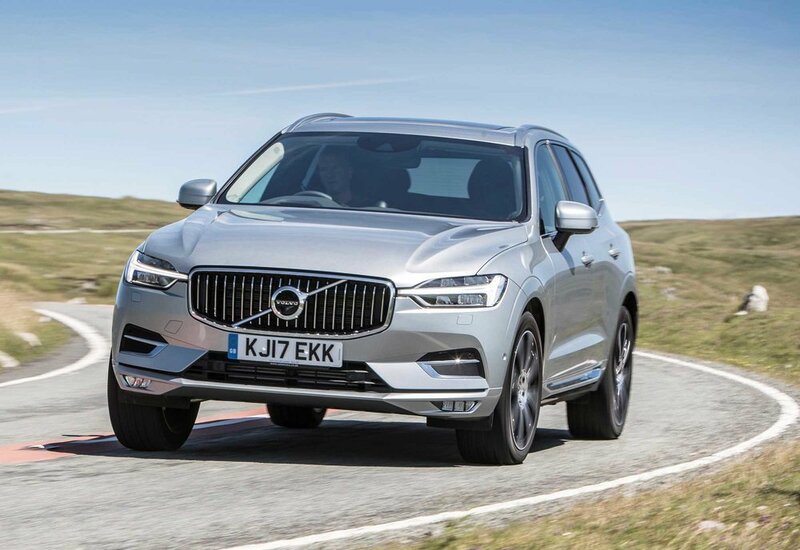 Our Momentum Pro test car added electric front seats, a heated steering wheel and windscreen, active bending headlights with adaptive shadow technology, and Volvo On Call, the connected smartphone app, which allows you to control various vehicle functions remotely. Despite the above, there are plenty of extra-cost options that you can add so you’ll need to exercise a little self-restraint if you don’t want to break the bank. The D4 Momentum Pro starts from £39,005 but adding the Xenium and Intellisafe Pro packs as well as a few more individual options pushed this figure up to £46,930. The new XC60 goes up against stiff competition in the shape of the Audi Q5, BMW X3 and Land Rover Discovery Sport, but we think it can more than hold its own in their company thanks to its stylish new design, high-quality interior and top-notch safety systems. Prices start from £37,205 on-the-road for the D4 Momentum, rising to to £57,950 for the forthcoming T8 Plug-in Hybrid.